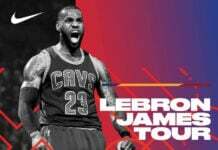 On Wednesday, LeBron James and the Cleveland Cavaliers took on the Portland Trailblazers. 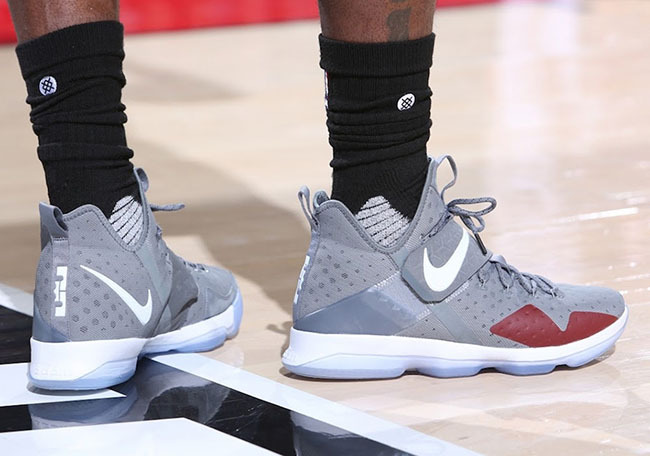 James was spotted in the Nike LeBron 14 ‘Wolf Grey’ PE, the latest colorway to leak. So far, this Nike LeBron 14 is a Player Exclusive but it’s possible to see an upcoming release. 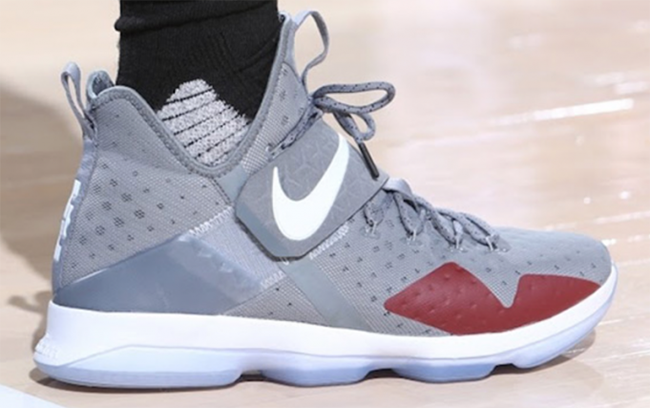 Looking closer, they Light Grey across the mesh uppers while White lands on the Nike Swoosh and LeBron branding. Following we have Maroon which is used by the toe. 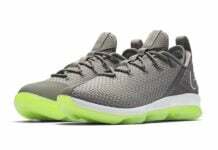 Other highlights include White across the midsole and a translucent outsole. 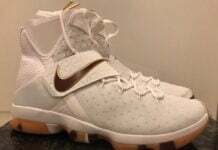 Like mentioned, it isn’t known if the Nike LeBron 14 in Wolf Grey and White will actually release. Once more information is known, we will make sure to update you. Make sure to visit the comments below and let us know what you think of this LeBron 14.